Larceny brought up a great many themes in it that I truly enjoy, and believe that many women who are of any era sometimes struggle with during their lives. 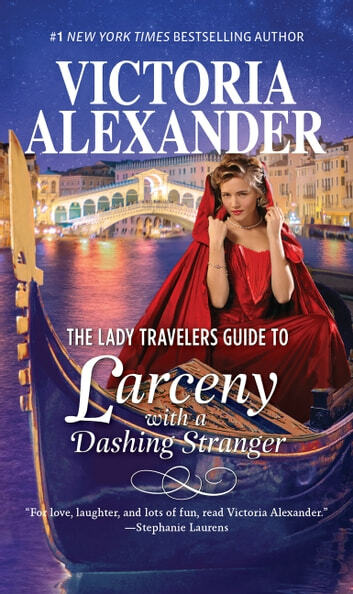 Ms. Alexander once again brought enjoyable characters, although I will admit, again, my fascination with the secondary characters, especially our protagonist's sister and niece. Women throughout the centuries have had a challenge with financial education, and men are not necessarily better in this arena as our heroine discovers prior to chapter one. Our heroine in this book, Willie, is in the middle of having a great deal of learning in her life in so many areas. Watching her grow and become certain of who and what she wants was a great deal of fun, although at times painful as it can only be in a well written book with a heroine that takes center stage. I also enjoyed the short story that was included in this ARC version.